Traditional braces can often be considered unsightly for many adults. Spending months or years with metal discs and wires in their mouth is not their idea of paradise. 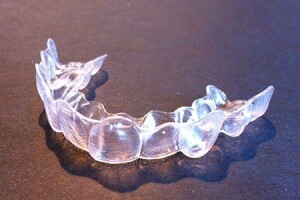 Then came the invention of Invisalign – the clear retainer-based correction system. 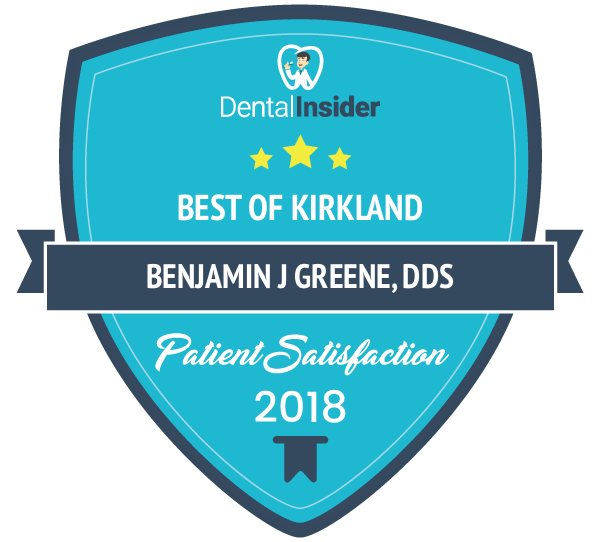 In the years since its inception, our Kirkland family dentist practice has often been asked if Invisalign is the right choice for you. We recommend speaking with a dentist or orthodontist trained in the Invisalign system, as they understand the process and have seen the results the system can achieve. Understand going in that you may not leave with a recommendation to use the system to fix your alignment issues. Invisalign has taken off with the adults and teens alike who want to forego the look of metal braces and the scratching that comes with them. When they first came out, they were used to treat only mild cosmetic dental corrections for adults. Now, they have systems to correct overbite, underbite, crossbite, gapped teeth and overcrowding. However, there can be complexities involved in teeth that are severely rotated or tipped that make it difficult for this system to correct. Over the years, braces have been developed to the point that doctors can precisely control the repositioning of your teeth. While it is still a great system, Invisalign just isn’t as precise yet. Fact #1- Invisalign braces generally cost more than regular braces. This is because laboratory fees for Invisalign are more expensive than the fees for traditional braces. Those fees are paid directly to the manufacturer, Align Technology. Fact #2- Even though the technology is constantly improving, there are some complex orthodontic cases that aligners cannot effectively treat or correct. Fact #3- Invisalign braces are no more or less uncomfortable or painful than metal braces. All braces cause some level of discomfort because they are designed to apply consistent pressure on your teeth to maximize movement. Fact #4- It generally takes the same amount of time to treat and correct your teeth, regardless of whether you choose Invisalign or traditional braces. Fact #5- Invisalign is a specialized tool used for straightening your teeth. The manufacturer, Align Technology, doesn’t diagnose or treat individual cases. Success and/or failure depend on the skill of the orthodontist providing the treatment. Fact #6- An orthodontist or dentist trained in Invisalign treatment is likely to have successful outcomes with this method. Fact #7- Over 1,000,000 patients worldwide have been treated with Invisalign, and the number is increasing on a daily basis. Fact #8- Invisalign trays are removable, giving you the flexibility of eating and drinking whatever you want and brushing and flossing your teeth as you normally would. Fact #9- There are no wires or metal brackets with Invisalign treatment. This eliminates the need for these types of adjustments at your office visits. Fact #10- Invisalign braces control both the force and timing of the force application. During each treatment stage, only certain teeth are moved. Your orthodontist determines these movements as they map out your personal treatment plan. Fact #11- Invisalign aligners are made from thermoplastic material, and look similar to teeth-whitening trays. Your aligners are custom-made and designed to move your teeth in the sequence determined by your doctor. Fact #12- You should choose an Invisalign treatment provider based on your own personal comfort and confidence levels. Fact #13- Many patients require retainers after Invisalign treatment in order to keep the teeth from shifting back to their pre-treatment positions. Fact #14- You are required to wear Invisalign aligners for between 20 and 22 hours every day. Desired results cannot be achieved when the aligners are not worn for the specified amount of time. Fact #15- Invisalign aligners are changed about every 2 weeks. Complex movements require 3 weeks of wear and less complex movements require 10 days of wear. Invisalign is a great option to consider for orthodontic treatment. If you’re looking for less visits to the dentist, Invisalign is a great option. For most treatment plans, progress check-ups are scheduled for every six weeks – that’s once every three trays! Additionally, you do not have to have to come in for the orthodontist to tighten your braces or adjust placement of bands since you have each step of trays at home. Simply switch out your trays every two weeks (or however often is recommended by your treatment plan) and you’re good to go! So if you’re looking for a way to improve your smile without the look of braces, give us a call at (425) 822-0435 to schedule a consultation! 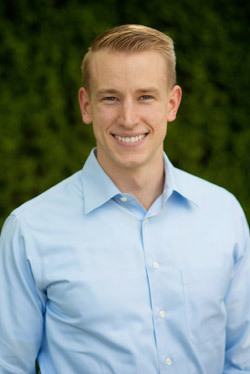 For more information about Invisalign, contact us today or visit Invisalign’s website.